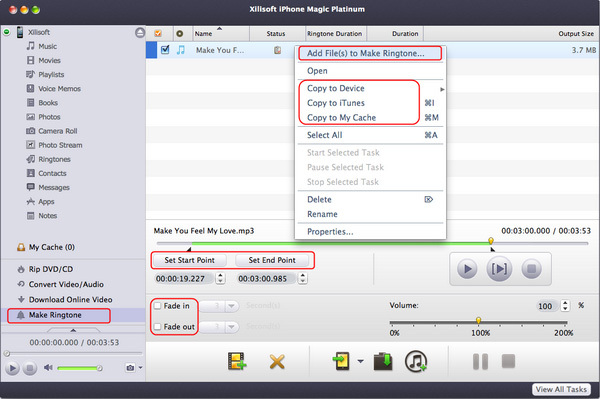 This tutorial can tell you how to transfer media files between iPhone, Mac and iTunes, copy DVD movies and non-iPhone videos to iPhone, make ringtone and download online videos by Xilisoft iPhone Magic Platinum for Mac. 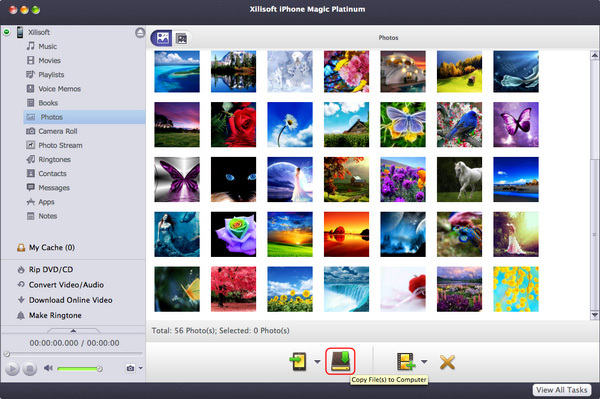 And here we would like to note you that all functions of Xilisoft iPhone Magic for Mac apply to all iPod, iPhone models, latest iPhone 5, iTunes 10.7 and iOS 6. 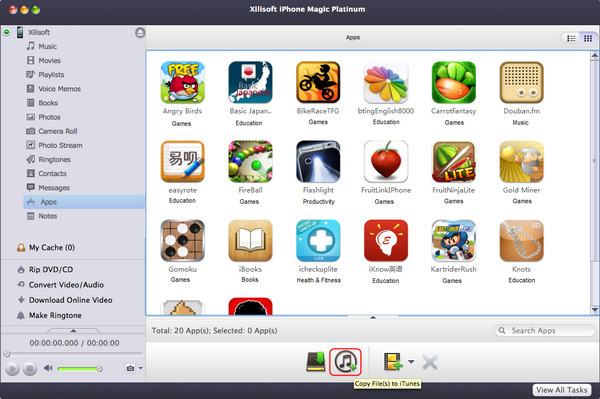 First, free download Xilisoft iPhone Magic Platinum for Mac, install and run it. Connect your iPhone/iPod to computer, the application will recognize the device automatically and displays the device information in the interface. This program helps you copy movies, music, books, applications and photos from local folder to iPhone/iPod without overwriting original iPhone/iPod files. 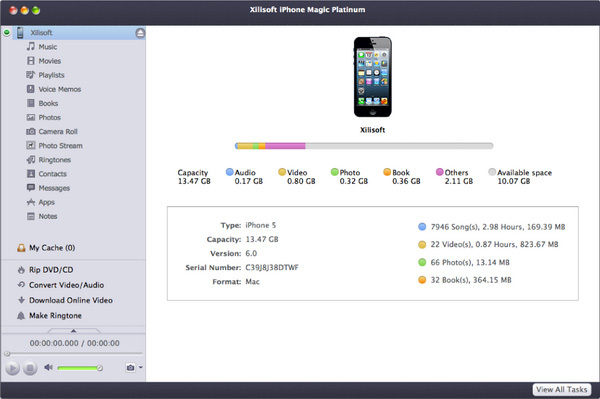 The program helps you transfer iPhone/iPod music, movies, books, applications and photos to Mac for backup. 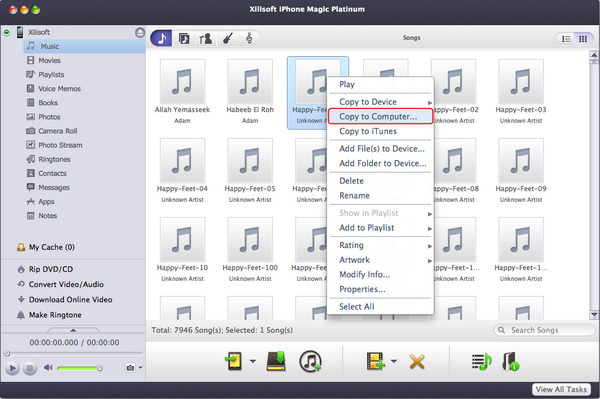 This program allows you to transfer iPhone/iPod music, movies, books and applications to iTunes for backup. 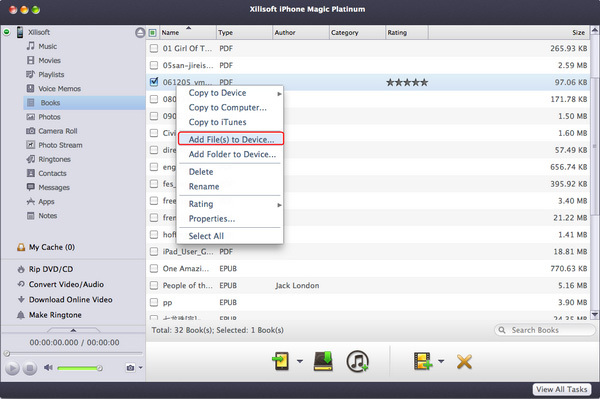 The program helps you put your loved DVD movie into iPhone/iPod by converting home DVD and transferring to iPhone/iPod. The program supports copying any videos/audios to iPhone/iPod by converting them to iPhone/iPod video/audio files and transferring them to devices in one step. Tip: If you unplug iPhone/iPod during the process of converting, the program will continue converting the files that are not converted and keep them in the "My Cache" for you to copy them to iPhone/iPod next time. The program also supports copying videos/audios to iTunes library by converting video/audio files to iPhone/iPod files and transferring them to iTunes in one step. Tip: If you unplug iPhone/iPod during the process of converting, the program will continue converting the files that are not converted and keep them in the "My Cache" node for you to copy them to iPhone/iPod next time. This application allows you to download desired videos from the most popular online video websites and convert to iPhone/iPod compatible formats, transfer them to the device just with a few clicks. The supported online video websites include YouTube, Metacafe, Dailymotion, Revver, Vidilife, Break, Vimeo, Stickam, Blip.tv and so on. 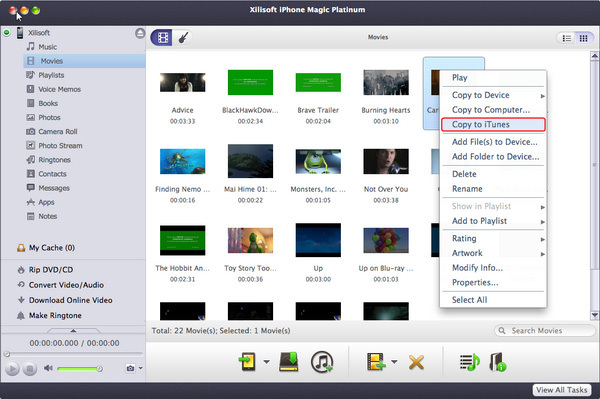 The program supports transferring downloaded videos to devices or iTunes. Please refer to "Part 1: Transfer files from/to iPhone/iPod" part to get detailed operating steps. 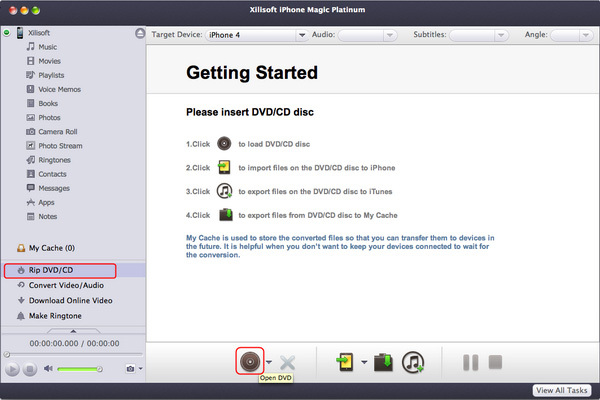 You can directly transfer the added DVD/video/audio in the built-in browser to iPhone/iPod by dragging and dropping. You can modify ID3 tag info of one file in iPhone/iPod, and also modify ID3 tags of multiple files at the same time.